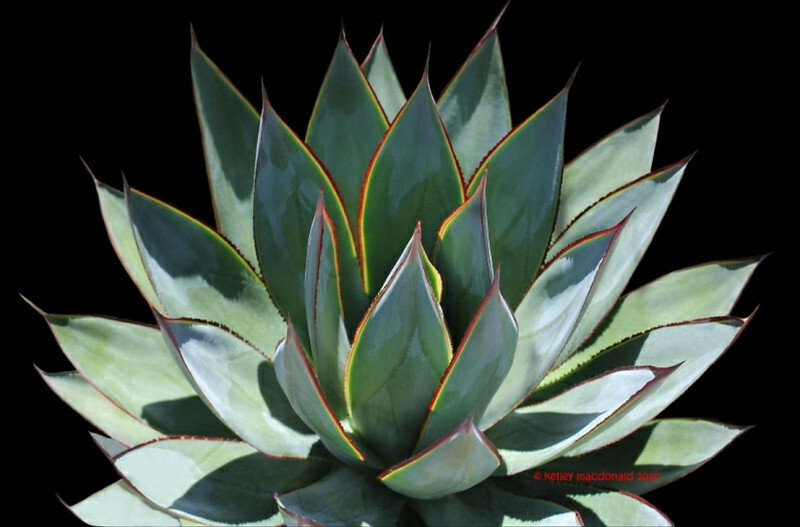 Agave 'Blue Glow' - A beautiful smaller Agave with solitary rosettes slowly growing to 2 feet tall and 3 feet across with 18 inch long by 1-1 1/2 inch wide blue-green leaves that have red margins edged with yellow and bearing tiny soft spines and a stout short red terminal spine. Plant in full to part sun. Little irrigation required.